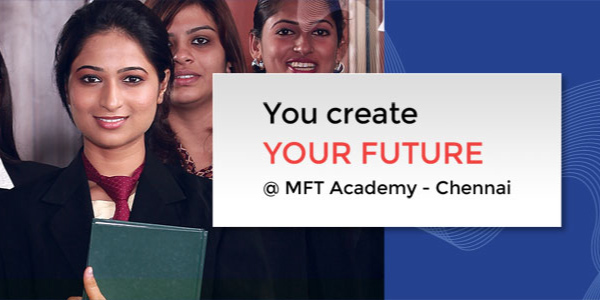 MFT designs the curriculum to prepare the students for a better career in their respective fields. The curriculum stimulates creative and technical expressions in all aspects which include Designing and Management techniques. Students will understand the importance of communication and critical reasoning and the effect they have on current business trends. The program is structured to challenge and inspire students by integrating theoretical knowledge with a practical approach to meet corporate challenges. MFT believes that student managers need to be ready to face a dynamic and turbulent business environment. For this, MFT uses rigorous academic modules focused on providing a balance of conceptual and practical learning. MFT, a premier academic institute of design, management and technology, aims at enhancing the technical skills of the professionals that go into the fashion industry. The institute provides technical support, infrastructure and motivation to students enabling them to showcase their innovative creations and talents. The library has a good collection of books to meet the requirement of the curriculum. The library also subscribes to latest National and International Journals and Magazines catering to all disciplines and has valuable audio visual collection in the form of compact discs and photographs. The students can also use the library of the University of Madras for their reference. MFT regularly provides effective training to the faculty members for updating their skills suitable to the prevailing trend. MFT is privileged to host Entrepreneurs, Researchers, Consultants and Managers of extraordinary caliber as a part of our faculty. All the disciplines are covered by academic experts and Industry experienced professionals. Our professors skillfully guide class room discussions encouraging students to reach a deeper understanding of concepts, apply their analytical skills, and arrive at creative solutions. Through their diverse experience they make the learning environment consequential and stimulating. Industrial visits are organized across different Industry verticals. Students are encouraged to attend exhbitions, industrial fairs and training related to the course of study. MFT provides personal training for students in their corresponding fields through Internship training.